With summer just around the corner, it’s a perfect time to start planning your holiday. Camping and outdoor exploration is something we would always recommend, so you better start gearing up. 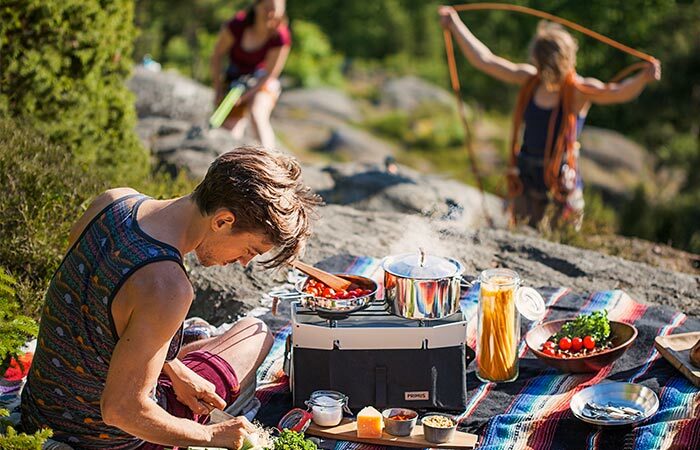 Primus Onja Stove will make outdoor cooking a fun and much easier experience. And guess what? 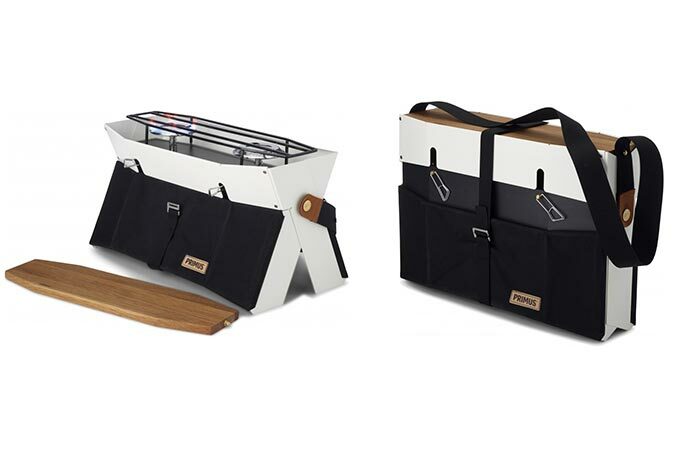 It’s collapsible, so you can carry it to any camping location. This compact, two-burner stove can be used to prepare meals for a lot of people since it can hold larger pots and pans. It uses canister gas so you don’t have to bother collecting dry branches. Also, once you extend the body, the stove becomes very stable, perfect for placing it on the ground. Since it’s elevated around 10-inches from the ground, you can sit comfortably in your chair while cooking. Primus Onja Stove is collapsible and has a shoulder strap, for easier carrying. Boiling time is a bit below four minutes and with one canister, it can burn for around 34 minutes. One of the most important features of Primus Onja Stove is its portability. Once collapsed, it looks something like a laptop bag and the shoulder strap allows you to carry it with no hassle. Another practical thing is that when you’re cooking, the body will protect the burners from the wind. This two-burner stove uses canister gas and can boil the water in less than 4 minutes. Once opened, the body protects the flames from wind. 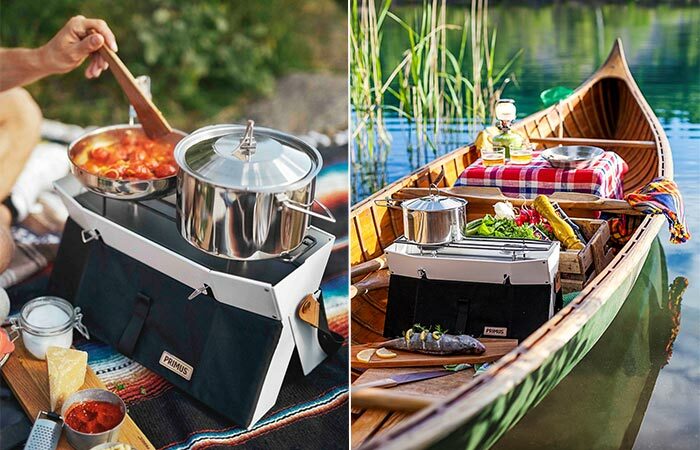 With the Primus Onja Stove you get two covers- a textile cover and a wood cover that can also serve as a cutting board or a serving plate. It weighs 7 lbs and the dimensions of the stove are 7 x 6 x 11 inches. With it being elevated around 10-inches from the ground, you can cook comfortably. Check out this video to see Primus Campfire, their new line of camping stoves.